A story of redemption and unconventional love. Leighlin Plantation offers Edward Ketch a new life, an opportunity to forsake his violent, troubled past and become a man worthy of respect and trust. But when a slave named Isabelle arrives, Ketch is drawn into a turbulent relationship that threatens the very peace he has struggled to attain. Isabelle has her own desires for a fresh start, but scurrilous gossip about her past undermines those hopes. She struggles to be accepted by Leighlin’s other slaves and hopes marriage to a popular man will aid her cause. But her situation worsens when her husband becomes abusive. She discovers, however, one unlikely ally—Ketch, who is as much an outcast among Leighlin’s white population as she is among her people. A stranger to love, Ketch cannot recognize the true feelings that draw him to Isabelle. To rescue her from the dangers of her marriage, he risks losing not only his position at Leighlin but the affections of the woman he strives to save. 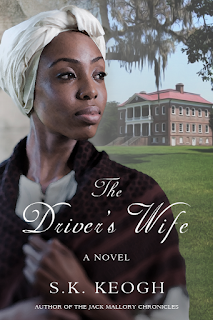 Set against the backdrop of 17th century Carolina, The Driver’s Wife explores the lives and relationships, from Big House to slave settlement, of those who labored upon the wilderness plantations near Charles Town. Rice cultivation and the task system of slavery provide a much different landscape from the aristocratic Old South of cotton plantations and gang labor familiar to most modern-day readers. 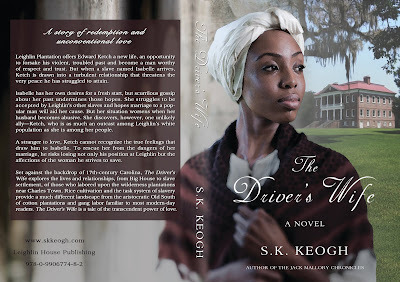 The Driver’s Wife is a tale of the transcendent power of love. The Driver's Wife is available now in ebook and print formats on Amazon! Add it to your shelves on Goodreads, and visit Susan's website for the scoop on all of her books and articles of historical interest.